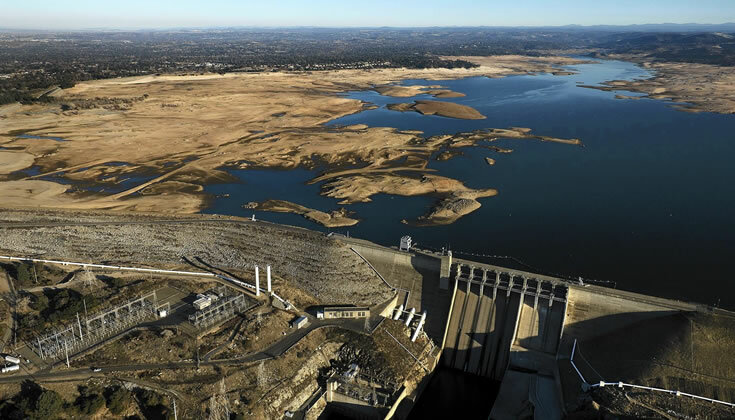 California’s historic drought is in its fourth year and we all need to play our part and conserve water where we can. All water use in California must now comply with the state’s mandatory drought restrictions, in an effort to have the water we all need. On April 1, 2015 Governor Jerry Brown called for a 25 percent reduction in water consumption across the state. To reach this goal, greater Bakersfield-area water purveyors including Oildale Mutual Water Company agreed on a plan that limits households to watering three times a week. Odd-numbered houses have the opportunity to water on Tuesday-Thursday-Saturday and even numbered houses on Wednesday-Friday-Sunday. We also recommend that all automatic sprinklers run between midnight and 8 a.m. and that manual watering takes place between 9 p.m. and 10 a.m. to avoid the effects of evaporation. In addition to the mandatory restrictions, citizens are prohibited from watering while it’s raining or within two days of rain, spraying down sidewalks and driveways, watering lawns to the point of causing runoff and washing vehicles with a hose lacking a shutoff nozzle. Households that don’t follow these rules are subject to an initial warning before fines are handed out. While up to 70 percent of the average person’s annual water is used on outdoor landscaping, we also ask that you do not drain and refill your swimming pool unless absolutely necessary. By working together as a community, we can lessen the effects of this historic drought.